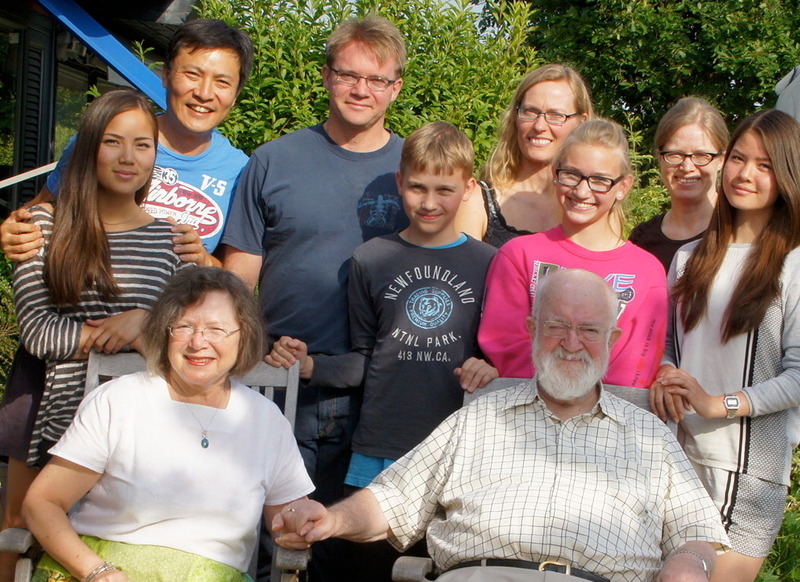 Family &c.: Dines Bjørner (DB) was born in Odense, Denmark, 4 October 1937. His father had an MSc degree in Mathematics (from Copenhagen University, 1931) and his mother a BA degree in Nordic and Modern English/America Literature (also from Copenhagen University, 1929). Since 1965 DB has been married to Kari Skallerud Bjørner (Oslo, Norway). 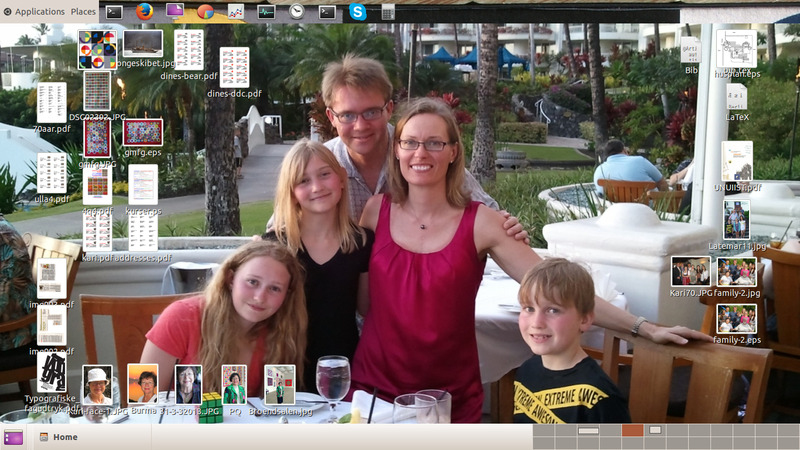 They have two children, Charlotte's Wei Wei, Camilla Caroline and Nikolaj: all family, and work: Microsoft and Stanford. In all: 5 grandchildren. Educational Background: DB graduated, in 1956, with a senior high school degree in Mathematics and Natural Sciences from the Århus Cathedral School (founded in 1142). DB graduated in January 1962 with an MSc in Electronics Engineering and with a Ph.D. in Computer Science in January 1969 from the Technical University of Denmark (founded by Hans Christian Ørsted in 1828). IBM Career: DB joined IBM in March 1962 at their Nordic Laboratories (founded by Cai Kinberg) in Stockholm, Sweden (where DB also first met Jean Paul Jacob and Gunnar Wedell). DB was transferred to the IBM Systems Development Division (IBM SDD) at San Jose, California, USA, in December 1963. While doing his Ph.D. (September 1965 - January 1969) DB was a lecturing consultant to IBM's European Systems Research Institute (ESRI) at Geneva, Switzerland (where DB received valuable guidance from Carlo Santacroce and where DB's friendship with Gerald Weinberg started) (1967-1968). In 1969 DB worked at IBM's Advanced Computing Systems (IBM ACS) Laboratory, Menlo Park, California, and, later that year until early 1973 at IBM Research, San Jose (again Jean Paul Jacob became a colleague). Transferred to the IBM Vienna Laboratory (directed then by Heinz Zemanek), Austria, DB resigned from IBM in August 1975 to return to Denmark after basically 13 years abroad. Career Outside and After IBM: During his stay at IBM Research DB was a visiting lecturer, for several quarters, at University of California at Berkeley (1971-1972), instigated by Lotfi Zadeh whom DB considers his main mentor and for whom DB has the fondest regards. DB was a visiting guest professor at Copenhagen University in the academic year 1975-1976, before taking up his chair in September 1976 at the Technical University of Denmark (DTU). During the summer semester of 1980 DB was the Danish Chair Professor at the Christian-Albrechts University of Kiel, Germany -- hosted by Prof. Dr. Hans Langmaack. Together with a colleague, Prof. Christian Gram, DB instigated the Dansk Datamatik Center (DDC) in the summer of 1979 . During the 1980s DB was chief scientist of DDC. In 1982-1984 DB was chairman of a Danish Government (Ministry of Education) Commission on Informatics. DB was the founding and first UN Director of UNU-IIST, the United Nations University's International Institute for Software Technology, located in Macau. DB was a visiting professor at NUS: National University of Singapore in the academic year 2004-2005 and at JAIST, Japan Advanced Institute of Science and Technology, near Kanazawa, calendar year 2006. Lectures and Graduates: DB has lectured and regularly lectures on six continents in almost 50 countries and territories and has advised more than 130 MSc's and some two dozen PhDs. Provably Correct Systems, with, amongst others, Profs. Sir Tony Hoare (then Oxford, now Microsoft Research, Cambridge, UK), Hans Langmaack (Kiel) and Ernst-Rüdiger Olderog (Oldenburg) and others. UNU-IIST: At UNU-IIST DB had a rather free hand, and was able, with a small team of excellent colleagues (Prof. Zhou Chaochen (Academician, the Chinese Academy of Science), the late Søren Prehn, Chris W. George, Richard Moore, Tomasz Janowski, Dang Van Hung, Xu Qi Wen and Kees Middelburg), to further explore the research issues still occupying DB's interest, and to apply them in a number of joint R&D projects with institutions in developing and newly industrialised countries [including newly independent states] (Argentina, Belarus, Brasil, Cameroun, China, Gabon, India, Indonesia, Mongolia, North Korea, Pakistan, Philippines, Poland, Romania, Russia, South Africa, South Korea, Thailand, Vietnam, Ukraine, Uruguay, etc.). Societal Work: DB was a co-founder of VDM-Europe in 1987 and moved VDM-Europe onto FME: Formal Methods Europe in 1991. DB co-chaired two of the VDM Symposia (1987, 1990), and the International Conference on Software Engineering (ICSE) in 1989 in Pittsburgh, Pennsylvania, USA. DB was chairman of the IFIP World Congress in Dublin, Ireland in 1986, and was the instigator and General Chairman of the first World Congress on Formal Methods, FM'99, in Toulouse, France, September 20-24, 1999. DB was chairman of Academia Europaea's Informatics Section 2004-2009 (see also Grand Challenges of Informatics). DB has otherwise been involved in about 60 other scientific conferences. DB is a member of the parish council of the Virum (Lutheran Protestant Danish Folk) Church. Awards &c.: DB is a Knight of The Danish Flag; is a member of Academia Europaea (MAE); is a member of The Russian Academy of Natural Sciences (MRANS [AB]), and was a member of IFIP Working Groups 2.2 (1980-2004, resigned) and 2.3 (1980-2008, resigned). DB has received the John von Neumann Medal of the JvN Society of Hungary and the Ths. Masaryk Gold Medal from the Masaryk University, Brno, The Czech Republic. DB received the Danish Engineering Society's (IDA) Informatics Division's (IDA-IT) first BIT prize, March 1999. DB was given the degree of honorary doctor from the Masaryk University, Brno, The Czech Republic, in 2004. DB is an ACM Fellow and an IEEE Fellow. Publications: DB has published almost 130 papers, authored 6 books (3 in both English and Chinese, and 1 in two English editions), co-authored 2 books and edited & co-edited 11 books. Research Interests: DB's research interests, since his Vienna days, have centered on programming methodology: methods as sets of principles for selecting and applying mathematics-based analysis and construction techniques and tools in order efficiently to construct efficient artefacts -- notably software. DB sees his main contributions to be in the research, development and propagation of formal specification principles and techniques. Currently DB focuses on the triptych of (1) domain engineering, (2) requirements engineering and (3) software design methods -- emphasising such that relate these in mathematical as well as technical ways: (1) intrinsic, support technology, management & organisation, rules & regulation, and human behaviour facets of domains; and (2) projection, instantiation, extension and initialisation of domain requirements, etc. Acknowledgements: Among the very many people for whom DB has a special, professional fondness, people who, in various ways, have supported DB in his professional career, he wishes to bear tribute, in approximate chronological order, to (the late) Per Geert Jensen, (the late) Cai Kinberg, Gunnar Wedell, Jean Paul Jacob, Peter Johansen, (the late) Gerald Weinberg, (the late) Gene Amdahl, (the late) Ed Sussenguth, Tien Chi (T.C.) Chen, (the late) Lotfi Zadeh, (the late) Ted Codd, (the late) John W. Backus, (the late) Peter Lucas, Cliff Jones, (the late) Hans Bekic, Kurt Walk, (the late) Christian Gram, Ole N. Oest, Erich Neuhold, (the late) Søren Prehn, Sir Tony Hoare, Hans Langmaack, Larry Druffel, Zhou Chao Chen, Kokichi Futatsugi, Chris George and Klaus Havelund.